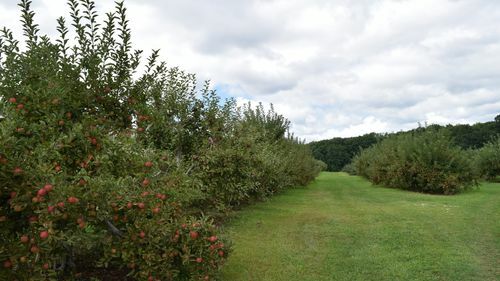 Immerse yourself in this fourth generation, 1915 family owned farm and orchard. 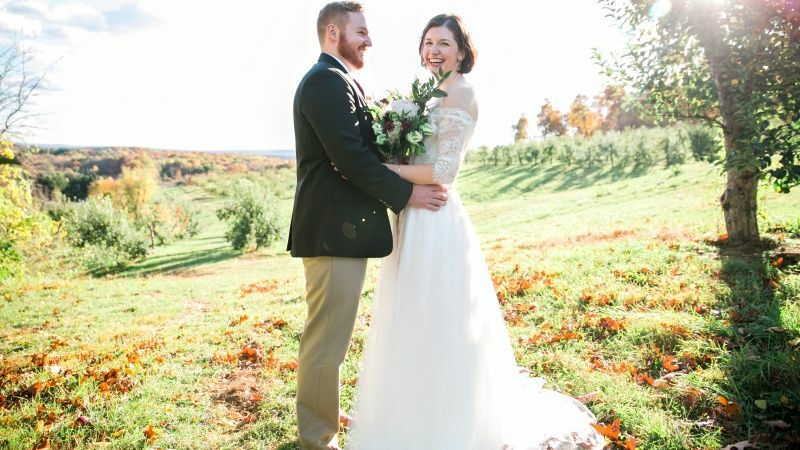 The breathtaking views of the beautiful rolling hills of Litchfield County and endless rows of orchards, are the perfect backdrop to your wedding reception. 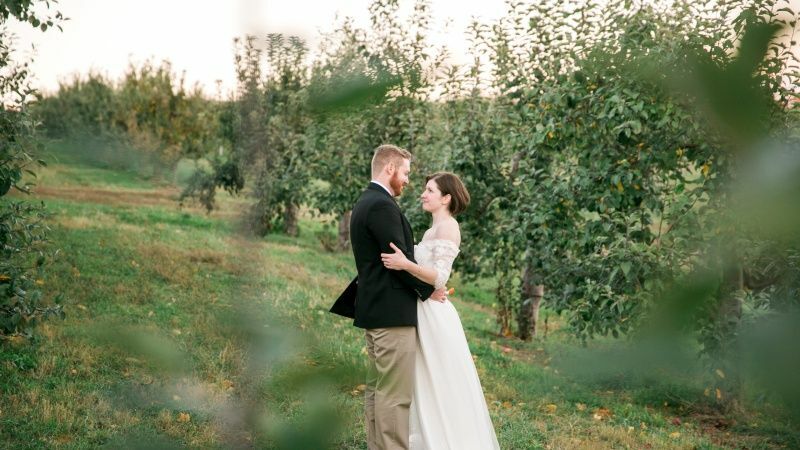 Imagine your guest enjoying seasonal fruit picking and hayrides, while the two of you capture timeless photos throughout the orchards. 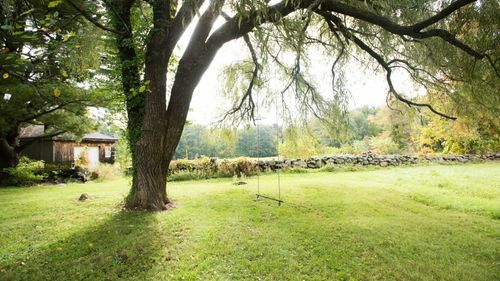 The wide-open field gives you a pristine canvas to throw a fabulous farm to table tented dinner. End this magical evening around the fire pit, complete with Adirondack chair seating. 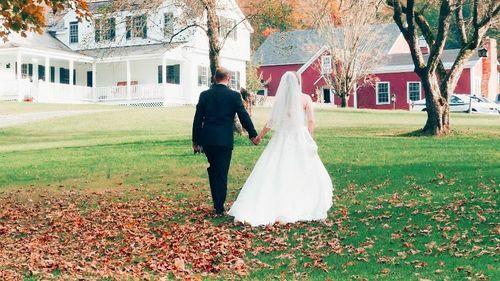 Only 10 Weddings Remaining for 2019 — then calendar will close.? Parking - 300 spots located on field onsite. Fire-pit and fire wood provided. - Complete with Adirondack chair seating. Kitchen Access - Caterer will have access to walk in refrigeration for cooling/chilling food items per request. Ceremonial Benches - Hay bale seating. Farm Decorations - Corn Stalk Bundles (usually tied to tent legs), Gourds, Hay Bales, Large Wooden Apple Crates (used as decorative tables for seating assignments, gifts, etc. ), Mum's, and Pumpkins (large & miniature). Early venue access available starting Thursday at 10:00AM for vendor drop-offs. Smoking Policy: Smoking limited to around bon-fire pits only. All cigarettes must be disposed of inside fire. Open Flame Policy: Wedding torches and bonfires authorized with approved permit from local fire department. Pet Policy: Pets considered upon request. Fireworks: Fireworks and sparklers are not permitted. Trash and Recycling: Trash and recycling cans on site, however, couples must bag and move to designated area. Set-Up: No material/lining permitted underneath dance floor in order to maintain lawn. Town Ordinances: Liquor service and music must be over by 10:00 pm and all guests and contractors off the property by 11:00 pm. 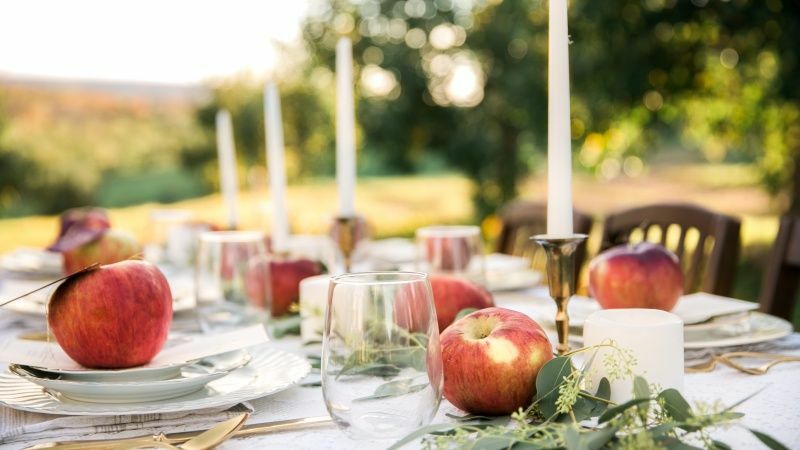 Catering Vendor Requirements: Caterer must provide total bill for services along with a 15% agricultural stewardship assistance payment to venue thirty (30) days prior to the event. Caterer must source at least 50% of the produce needed for event menu from the venue. A list of seasonally available produce items will be provided to caterers. Tent Vendor Requirements: 10% Agricultural Stewardship Assistance Fee of total tent bill paid by vendor.